It’s natural to dread the prospect of giving feedback – and receiving it – but, if delivered in the right way, it doesn’t need to be daunting for either party. 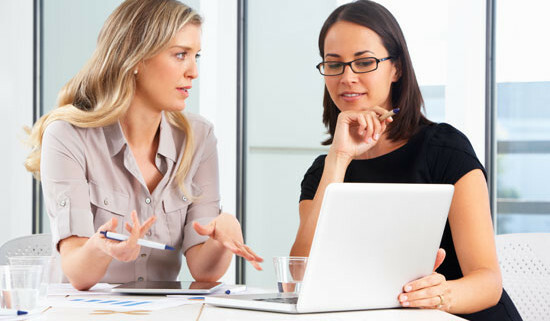 Not many employees find the prospect of receiving a performance review particularly appealing. Most people want to believe they are doing a great job, and even the slightest suggestion to the contrary can be a big blow to their pride and confidence. While that is certainly true for those on the receiving end of feedback, the people tasked with actually giving it out can face just as much concern. No matter how open-minded a recipient of feedback is, having to judge and assess their workplace performance can be a difficult matter. The fact is, with the right delivery method, no one has to fear feedback – whether they are giving or receiving it. That is why Leaderskill’s Leader/Manager Model™ of 360 degree surveys was created, to provide a feedback platform that can indicate strengths, is non-threatening and conducive to constructive development. Here are some tips on providing feedback that makes it much less awkward for each party. 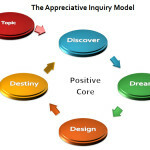 Use of the Appreciative Inquiry approach means that 360 Facilitated 360 degree feedback surveys make use of the power of positive feedback. The more you focus on someone’s strengths, the more they are likely to develop them – and no prizes for guessing what happens if you draw attention to weaknesses instead. While it’s important to provide fair, honest and all-encompassing feedback, make sure the focus is on the positives, as this will encourage recipients to nurture those competencies even further. Bad feedback can be damaging – but even more so if it’s delivered in vague, unspecific terms that leave room for misinterpretation. Leader/Manager surveys help in this regard, providing guidelines on how to move forward and develop in specific terms. Feedback recipients are provided instructions on what they can do more of and do less of, so they have a clear map of where they can go, and how they can get there.